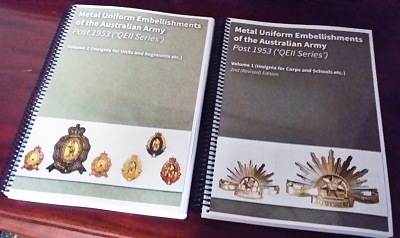 79 pages (soft cover) of information and colour photographs itemising the brevets worn by aircrew from the Australian Flying Corps, RAAF, RAN and the Australian Army. Over 180 colour photos of brevets (wings). Three timelines showing the evolution of Australian Army brevets (since the 1940s), RAN brevets (since the 1920s) and an extensive A3 timeline (with notes) for the RAAF itemising the different Kings Crown and Queens Crown brevets. There is a description of each brevet outlining when they were introduced, when they were phased out and what brevet replaced them, if any. The various manufacturers of metal brevets are also investigated and the author looks at what future brevets may be considered in the ADF. Purchase price: $15 (Plus postage) with all profits going to Legacy in Western Australia. There will be a limited printing of this book and a second printing may only be considered if there is sufficient demand. Can be purchased via email: SOLD OUT!!! This book contains images of South African Naval badges and insignia from the earliest days of South Africa's Naval heritage, covering all aspects of SA Naval insignia. It is a full colour A4 book with over 1300 photos in 183 pages. This book has been totally privately published and is therefore limited to 200 books, which are priced to just cover the cost of printing expenses. The price is exchange rate dependent but at present is R400 for South Africa, GBP25 for the UK and US$40 elsewhere, plus packaging and postage. No single publication so far covers this subject in such prolific detail and its status as an accurate and comprehensive reference is assured. The finished A4 size book has 144pp, with over 400 badge designs all in full colour, a detailed text on each regiment, foreword, introduction, details of restrikes, auctioneers, salesrooms, terminology, listings from the David Linaker Files of sealed patterns issued to the British Army from 1881 to 1929 in the WO 359 series of Records in the National Archives, bibliography, section of photographs showing badges being worn. This book is hard bound, using buckram cloth, gold leaf lettering to spine & badge of 24th Foot design on cover. Bound in the same style as the 1st Part of this title. 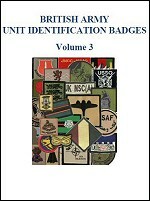 "This is my third book covering Unit Identification Badges worn by members of the British Army, plus a couple for the Royal Navy and the Royal Air Force. The A5 sized book has a card cover consisting of 32 double sided pages containing over 280 coloured images with accompanying text." Copies may be obtained from the author at a cost of £25 in the UK, plus any postage costs for other destinations. SOLD OUT !!! It is supported by references and documents from various sources including the National Archives and regimental archives as well as respected insignia publications. 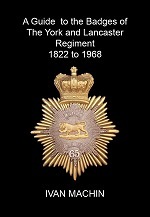 This book is intended to give anyone who has an interest in the York and Lancaster Regiment or in military badge collecting, an insight into the type of metal badges worn by the regiment. Nearly 150 colour photographs of badges are included along with period photographs of badges being worn. 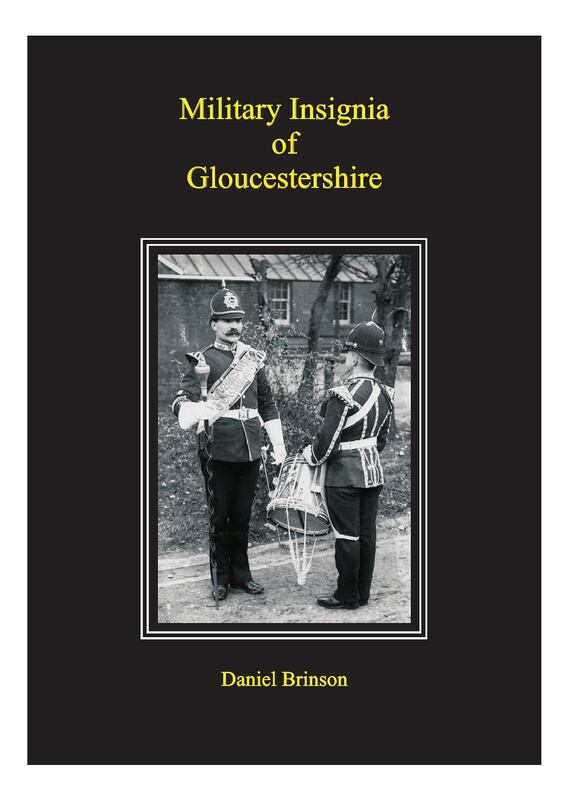 Chapters include Shako and Helmet plates, Glengarry badges, the famous ‘Tiger and Rose’ cap badge, collar badges, shoulder titles and miscellaneous badges. A chapter showing some common Fakes and Copies is also included. The book will give anyone involved in collecting militaria a comprehensive reference source to the metal badges worn by the York and Lancaster Regiment during its 200 year history. 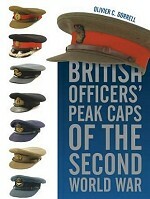 A basic reference guide to cloth cap and beret badges of the British Forces. Including combat helmet and jungle hat badges. Available as a pdf version (free on enquiry) or paper copy. 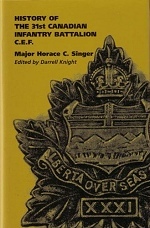 A digital book in Adobe Acrobat® PDF format that includes cap badges and pricing information for all Canadian Army cap badges worn between the spring of 1920 (with the reorganization and redesignation of the Canadian Army’s regiments following the First World War and the Otter Commission report), and the death of King George VI on the 6th of February, 1952 — commonly referred to as King’s Crown period badges. 500 pages, with new, full colour photography, regimental and corps' lineages, and major badge varieties — over 460 badge entries for every corps and service, infantry regiment, cavalry regiment, armoured regiment and officers training corps contingent in service in the Canadian Army between 1920 and 1952, plus all Canadian wartime services, volunteer, medical and civilian corps and services active during the Second World War. 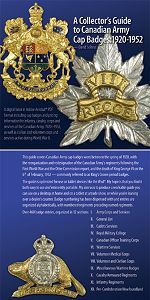 A Collector’s Guide to Canadian Army Cap Badges:1920-1952 is optimized for use on tablet devices like the iPad®. Convenient, easy to use and eminently portable. Badge numbering has been dispensed with and entries are organized alphabetically, with numbered regiments preceding named regiments, fully indexed and cross-linked with live links throughout, making navigation a breeze. This truly is a workable guide you can use both on a desktop at home and on a tablet at a trade show, or while you’re leaning over a dealer’s counter. Preview sample pdf available from the author — just ask! The Second World War, often described as a “People’s War”, was the first time civilians played a major part in Britain’s war effort. New emergency services created before the war to help those suffering loss and damage were joined by the Home Guard as Britain faced invasion in the summer of 1940 and new organisations formed to deal with unexploded bombs and the homeless caused by nightly air raids in 1940. Major air attacks ceased in 1941 but food was rationed, daily essentials scarce and Britons of all ages expected to do wartime duty in addition to their day job. Many essential war workers on the Home Front lacked a uniform but wore a lapel or pin back-badge to show they were doing their bit for the war effort. Treasured as souvenirs of six momentous years in Britain’s history, they were rediscovered years later, often by someone to whom their significance and meaning was unknown. 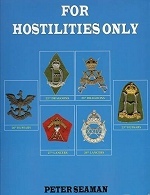 Whilst military badges are well recorded, no attempt to identify Home Front items was made until the first edition of this book was published privately in 1996. 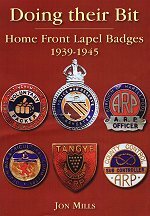 Extensively updated Doing Their Bit is illustrated with over 600 wartime lapel badges and ephemera, records the wartime history of over 200 organisations which wore them and shows how Thomas Fattorini Ltd became a major manufacturer of Home Front badges. Jon Mills is an author, researcher and collector specialising in the Second World War British Home Front. His interest in the period was sparked by family tales of his air raid warden grandfather, his father in the Home Guard and his mother who issued ration books and identity cards. A collector of wartime memorabilia for some fifty years, Jon is the author and publisher of the series Within the Island Fortress, an in-depth look at the insignia and ephemera of Britain’s civilian war effort. The co-author of two wartime histories of the London Borough of Wandsworth where he was brought up, Jon is a regular contributor to military and family history magazines. For Sabrestorm Jon has written Utility Furniture a guide to the 1943 Utility furniture catalogue. Jon is editor of The Formation Sign, journal of the Military Heraldry Society whose members are supporting him in his next project, Badges on Battledress, an illustrated history of the cloth insignia worn by the British Armed forces from 1939 to1967. Originally a librarian, Jon worked for local authorities before providing information and records management to the property industry. Married with four grandchildren, Jon lives in Kent. Doing Their Bit is a detailed account of the many organisations which helped to win the war on Britain’s Home Front. 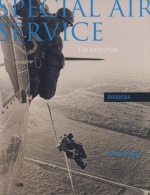 The standard reference work since its original private publication in 1996, this is a unique record of civilian participation in the People’s War. Over 600 full colour illustrations record the lapel badges worn on civilian clothes by young and old, from the First World War veterans of the Home Guard to the young people training for eventual service in the armed forces. Detailed accounts of the activities of those who wore them are accompanied by evocative wartime posters and ephemera. 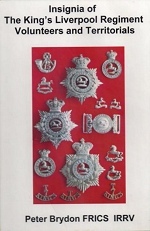 A unique feature of this 300-page book is material from Birmingham-based Thomas Fattorini Limited who were major manufacturers of Home Front badges. This invaluable guide should be on the shelves of anyone with an interest in the history of wartime Britain. 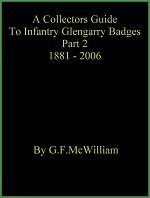 Following the success of the original edition of this work, the author has extended this publication by further research and locating a further 16 new badges never before published. This revised, corrected and enlarged edition provides the collector with FULL COLOUR photographs throughout and includes the R.M.L.I. and Army Hospital Corps as well as a collection of B & W photos of the badges being worn. The finished A4 size book has 101 pp, with 316 badge designs and detailed expanded text on each forward, introduction, details of restrikes, auctioneers , salesrooms, terminology, bibliography, section of photographs showing badges being worn. This book is hard bound, using buckram cloth, gold leaf lettering to spine & badge design to cover. Bound in the same style as the 1st Edition of this title. ...derided, scorned, ridiculed and officially complained about by numerous Colonels and at least one Major General, the anodised aluminium cap badge nevertheless entered service with the British Army in the early 1950’s and with many unit stocks still remaining in stores, large numbers of your venerable British Army squaddie will, without doubt, see their continued issue well into the 21st century. Although these badges are modern, quality information about them is almost unobtainable. 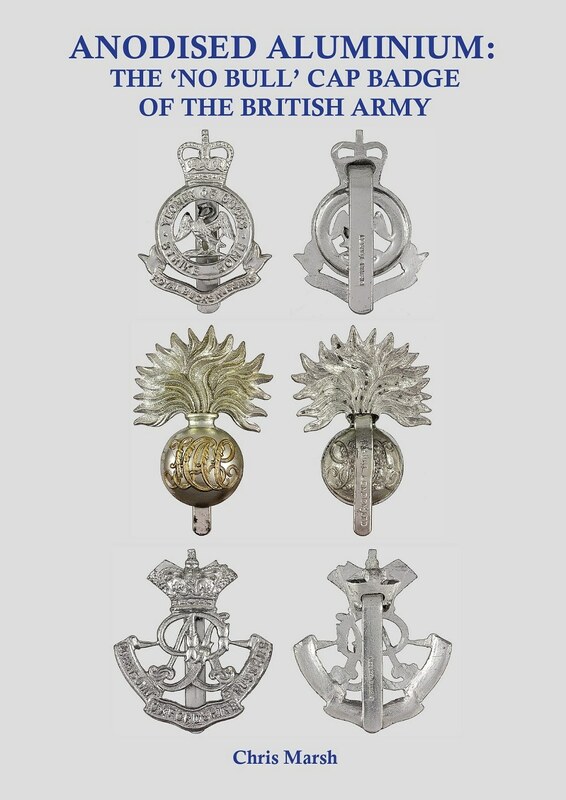 Few students of British Army insignia will understanding what they actually are, how they were made or even which badges were officially authorised for issue. 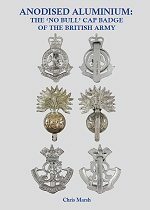 This book has been written by a collector for the collector and will open up a wealth of information on the most unknown genre of British Army cap badges. 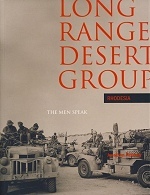 With extensive reference to official military documentation mixed with the authors own research, this unique publication is essential reading for the student of British Army uniforms and is one book that no enthusiast can afford to be without. Illustrated throughout in almost forty separate sections, Anodised Aluminium covers all aspects of ‘stay brights’, giving the data and detail required to understand these badges in their entirety. Not only will this book inform individual collectors which badges to acquire but it will also tell them which ones to reject. Did you serve in the Defence Force or Police between 1964 and 1994? 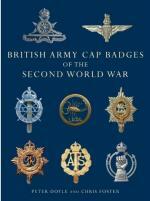 If so, Border War Badges will be of great interest to you as it details military and police badges of that time. 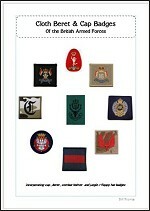 It is thus a very useful reference guide for collectors of Militaria. 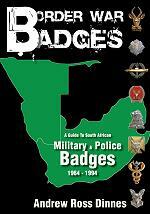 Border War Badges covers Army, Navy, Air Force, Medics, Cadets and Police of South Africa, South West Africa and the Homelands. 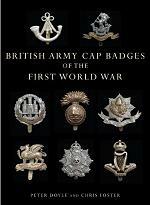 The book includes actual photographs of Metal and Cloth Badges, Stable Belt Buckles, Flashes, Buttons and Brassards. All the badges illustrated are to scale and each has an informative write-up giving invaluable details for collectors. of other publications about county insignia. 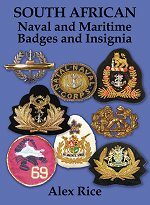 Daniel Brinson has collected military insignia for over thirty years and together with the help of fellow collectors has established this first and long awaited publication. 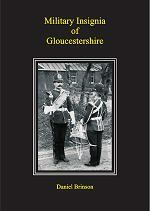 The period covered runs from 1768 until the present day, and includes the 28th North Gloucestershire Regiment, the 61st South Gloucestershire Regiment, The Gloucestershire Regiment, the Royal Regiment of Gloucestershire and Hampshire, the Royal Gloucestershire, Berkshire and Wiltshire Regiment, the Rifles and the Royal Gloucestershire Yeomanry and Hussars. Associated Militia, Volunteer, Territorial and Cadet units are also included. Badges, buttons, buckles, shoulder titles and more are all described. Covers the re-formation of the six WW2 raised cavalry regiments and also deals with the insignia, including the trial patterns, and dress distinctions of each. 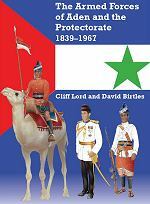 It is illustrated throughout with black & white photographs of personnel of the regiments and A4 colour plates of insignia. 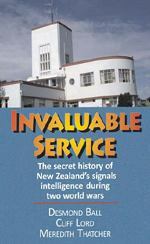 The secret history of New Zealand’s signals intelligence during two world wars. This book describes the secret activities of the many people and places involved with listening to and decoding the enemy’s signals during two world wars. Known as SIGINT for Signals Intelligence, this is New Zealand’s unseen contribution. The authors have unearthed and brought to light much of what has been lost or hidden during these years, including New Zealand’s significant contribution to the nerve-wracking scramble to locate the Scharnhorst battle cruiser in the northern Atlantic Ocean in 1943. Because secrecy was paramount, their station locations and personnel, their triumphs and failures, were never reported. And this secrecy continues to the present day, having all but sunk out of sight. As Dr Warren Tucker, the director of the Security Intelligence Service, comments in his foreword “I am delighted that this book now puts firmly into the public arena a record of New Zealand’s small but important SIGINT contribution to the wartime Allied effort.” This book is a must for all with an interest in intelligence matters, as well as those who enjoy insider histories of the war. began a period of British control which lasted until 29th November 1967. Prisoners of War in Bedfordshire is a blend of local military and social history, placed in a national context. 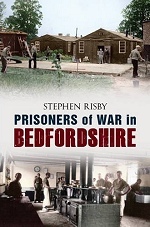 Stephen Risby seeks to answer important questions such as why were prisoners of war brought to Bedfordshire during the darkest days of the Second World War? How did most of them come to be trusted and allowed to roam the area unguarded? What was their lifestyle really like? The circumstances surrounding the building of a prisoner of war camp at Ducks Cross in north Bedfordshire go some way to explaining these questions, providing an insight into the British public's changing view of 'the enemy'. Despite today's rosy recollections, these relationships were not always easy. The murder of Private Hands by an escaping Italian and its aftermath would result in the only known incident of armed combat between an enemy soldier and the Home Guard. Prisoners of War in Bedfordshire will interest both residents of Bedfordshire and those seeking a broader knowledge of the lives and fortunes of Italian and German prisoners in the United Kingdom. Stephen Risby has had a life-long interest in military history, resulting in his completion of two dissertations at Cambridge University (one on Operation Market Garden and the other on Italian Prisoners of War in North Bedfordshire). He has also had brief items published in the Military Heraldry Society journal, Formation Sign, and a short biography in a British Army regimental association journal. All this has occurred in the last four years. He also attended the Wolfson Course at Wolfson College, Cambridge, and has an Advanced Diploma in Local History from Madingley College, Cambridge. 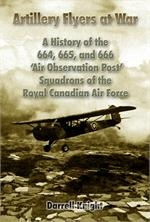 A History of the 664, 665, and 666 Air Observation Post Squadrons of the Royal Canadian Air Force. Story of AOP squadrons of RCAF, operating in Europe during latter stages of WWII. Few have seldom heard about these units. Knight's passionate interest for their cause led him to provide a new chapter in Canadian aviation history by writing this very thorough and well-researched volume in honor of his father's services during the war. Their contribution to the final Allied victory in Europe must not be forgotten. 90 photos, 5 documents, 3 maps. History of the 31st Canadian Infantry Battalion C.E.F. 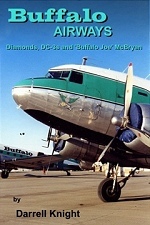 Buffalo Airways; Diamonds, DC-3s and 'Buffalo Joe' McBryan' will leave you on the edge of your seat...breathless with anticipation and awe! Experience the true-life adventure where heroic young pilots are recruited to fly World War Two airplanes in the most extreme conditions on earth under the demanding, watchful eye of legendary aviator 'Buffalo Joe' McBryan. 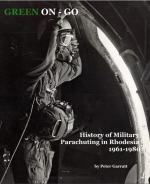 Many books have been written on the Rhodesian Security Forces but there has never been a book written on No 1 Parachute Training School, Rhodesian Air Force or the lives of the people who made up the PTS.